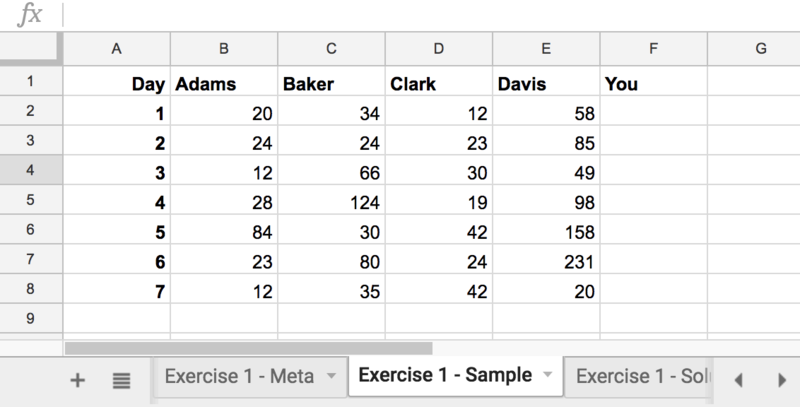 Learn about sample sheets, where you will provide the data needed for an exercise. The following naming convention should be used for the sample sheet: Exercise <exercise number> - Sample . The sample data for an exercise should only differ slightly from the Golden Copy. Please click the link below for more information about the Golden Copy and solution sheets.